A birthday lunch celebration should be a decadent affair – in a gloriously luxurious room filled with sunlight streaming in from the windows while your guests sip champagne and chatter – sounds like too much to ask for? 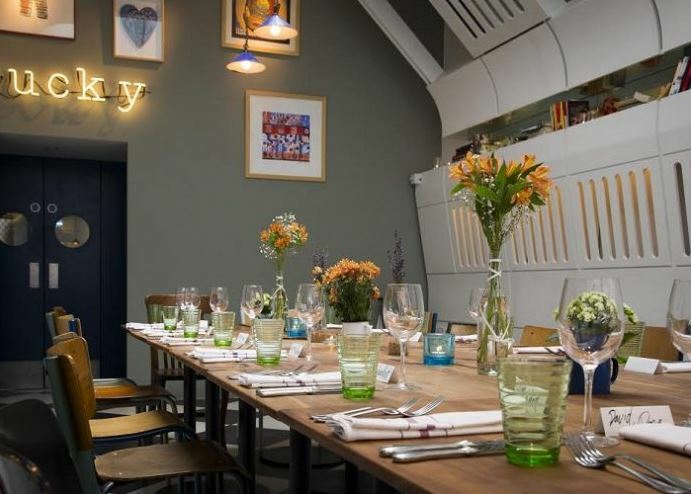 Well not at privatediningrooms.co.uk… here are our top picks for daytime birthday and anniversary celebrations in London. Aubaine Marylebone totally nails this – with its first floor private room the epitome of modern French chic with its French grey hues, it’s awash with light from the double height glass windows that look out onto the square. It’s the perfect venue for a relaxed birthday or anniversary celebration. With space for up to 65, it’s also a steal boasting party menus from just £32 per person. Similarly coloured, Fortnum and Mason has the most stunning private rooms – the plush Drawing Room in Forntum’s own ‘eau denil’ pale blue makes an effortlessly stylish setting in which to celebrate with up to 60 guests. The David Collins designed room has white tablecloths, plenty of natural daylight and hand painted silk wall paper with birdcage design – its elegance personified. Over in Hammersmith, the legendary River Café boasts a floor to ceiling patio doors with views onto the courtyard and riverbank – offering up to 18 guests the chance to enjoy an outdoor reception before lunch or a post-lunch lazy stroll to admire the local surrounds. The Room at Kensington Place in Notting Hill also has a gorgeously light and airy feel due to its vaulted ceiling and large skylight. With space for up to 22 guests on one table (or 36 max), it’s ideal for an elegant and relaxed event with friends. For a room with a view, it doesn’t get finer than the private room at Babylon for an intimate 12 guests. 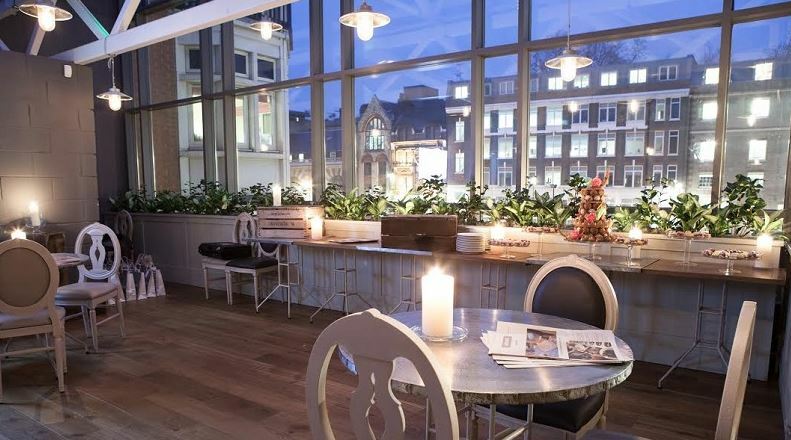 Set within the famous Kensington Roof Gardens, the room has floor to ceiling windows and its own terrace looking over the gardens where you just might catch sight of the resident flamingos while dining on their award-winning seasonally changing menus. We love Chamberlain’s. Now in its fourth generation of family ownership and celebrating its 70 anniversary in 2017, The Ground Floor for up to 28 guests boasts large windows looking out onto Leadenhall Market, while the Mezzanine overlooking it is a fabulous spot for up to 16 (seated) and is perfect for voyeurs while enjoying the restaurant’s fishy favourites. For do’s over in King’s Cross, check out The Driver. With five private rooms, we recommend the Bar or the Roof Terrace – the bar features plenty of natural daylight from full height windows, wooden floors and a modern touch, whereas the roof terrace’s olive green décor gives a different yet still serene vibe. They do dancefloors too – for those who fancy a birthday bop – who doesn’t!? Meanwhile, the beautiful BB Bakery is tops for elegantly refined teas made by French pastry chefs with amazing celebratory cakes and teas from an appetising £22 per person. There are two private rooms for up to fifteen guests, but for something totally unique, why not try their afternoon tea bus tour (available from 12) for a truly double decker treat. With two Routemasters endearingly entitled Rodney and Del Boy, the 90 minute tours serve classic afternoon tea with Parisian flair and cost £45 per person (£35 for kids) with vegetarian, pescetarian, halal and gluten free menus available. 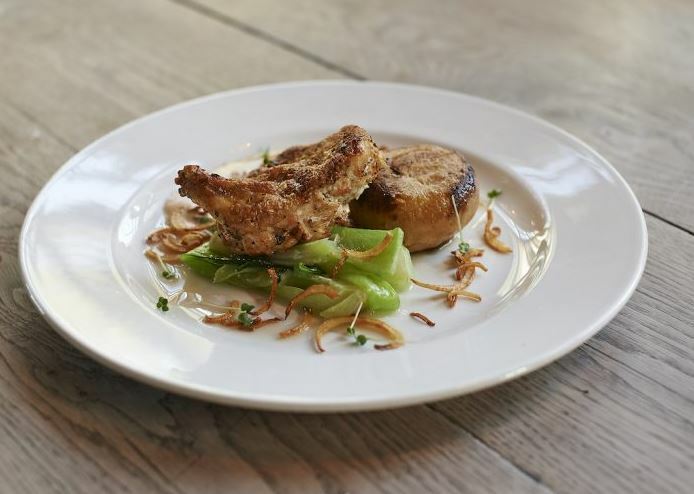 For over three decades Sally Clarke’s restaurant in Notting Hill Gate has been serving up deliciously seasonal cuisine. With two newly renovated dining rooms and a stunning private dining room, it’s perfect for gourmet lunches with the emphasis on provenance.